Welcome to part 2 of this guest suite Journal Post series! 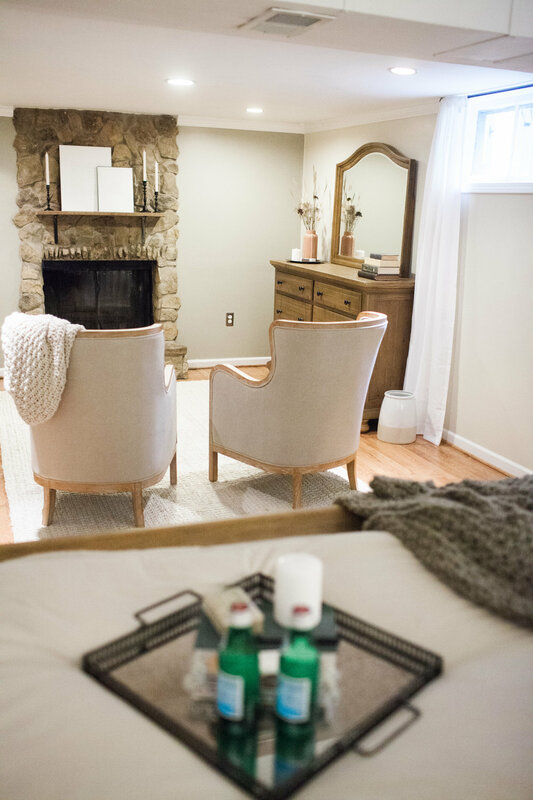 I was really eager to share Journal Post 1 with you, ‘The Guest Suite Reveal’, because as humans, we LOVE radical transformations…and I will tell you, this guest suite was a RADICAL transformation. But this second Journal Post, I have been particularly excited about because I learned it from YOU! I asked THOUSANDS of you what makes you feel at home, cozy, and welcomed in when staying in a guest suite. This is a true compilation of community coming together with ideas. So, if you contributed to this list, and shared what is important to you in a guest suite, THANK YOU! 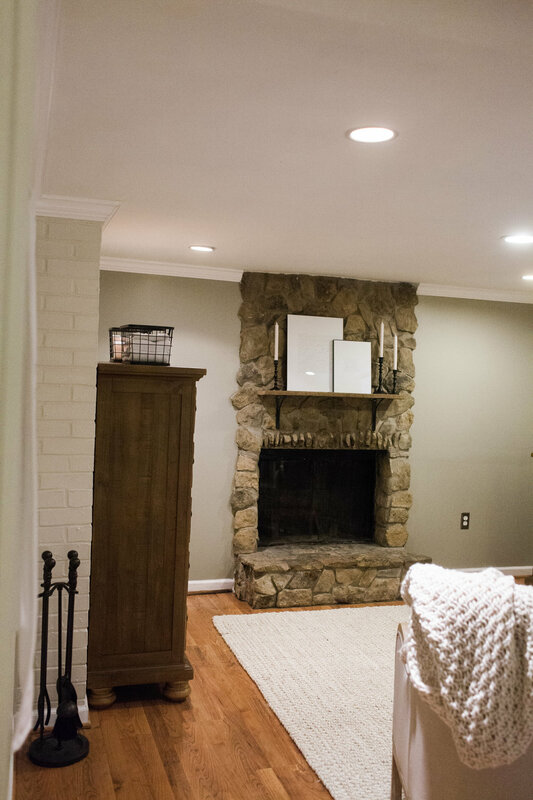 You have not only helped me, but you are helping to serve so many who are also seeking ideas on how to host WELL in their home through a guest suite. 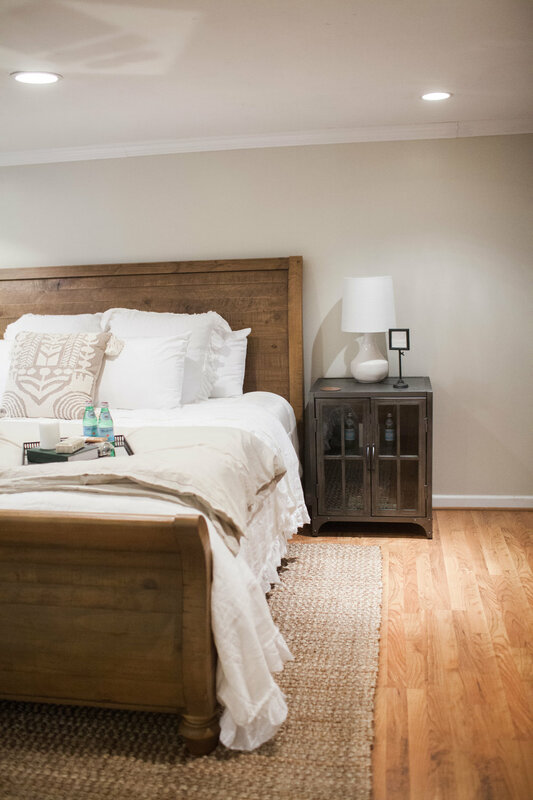 Below, you will find the 19 ways to create an intentional guest suite! I hope that this content is helpful, practical, and that it allows you to serve those you invite into your home WELL this holiday season, and every season after that. I || Blankets. Friends, this was the number one thing that you shared with me that makes you feel at home and cozy. 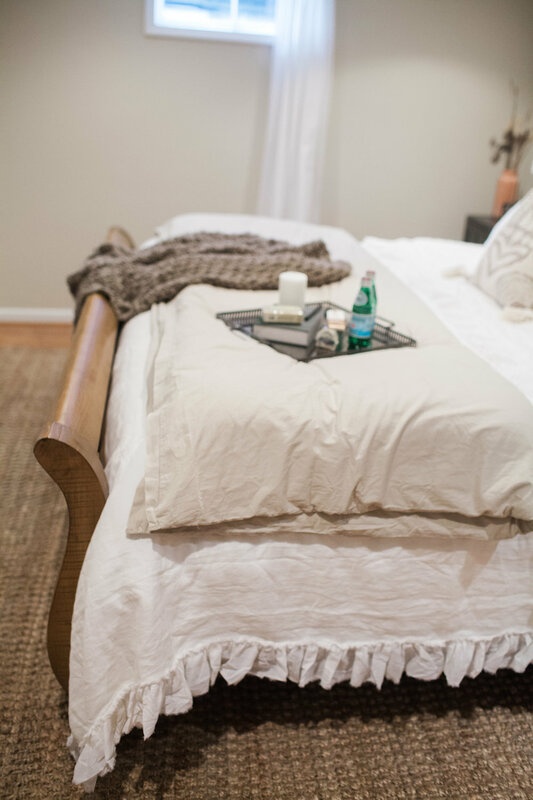 If there is ONE thing you do in your guest suite, have LOTS of cozy blankets, and give your guest options of blankets. We decided to put a throw blanket on the bed and on the chair so they are easily accessible, but also, we wanted more options in case it was particularly cold. 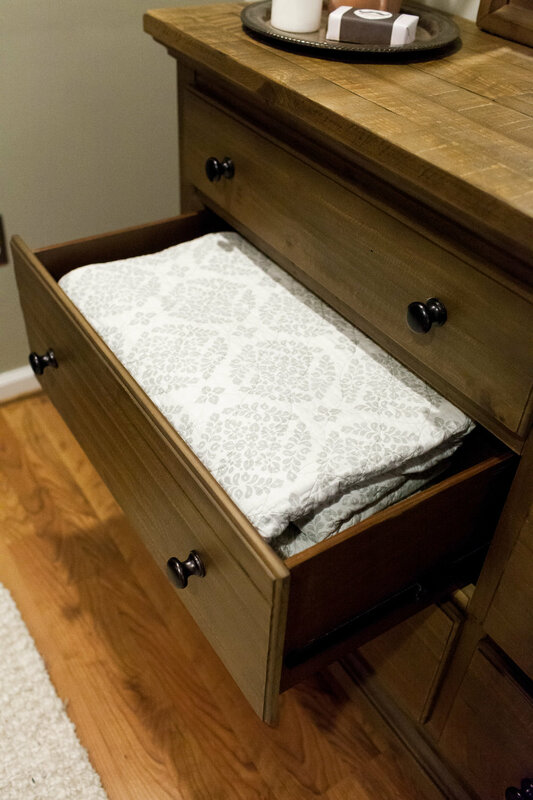 We put extra quilts and comforters in the drawers in the mirrored chest so that they were not taking up space, but were easily accessible. As much as hosts try, it can still be hard for guests to ask for things, so make it easy for them to have access to those extra blankets. II || Guest book to sign. Can you believe that this was the second most shared tip?! I LOVE this because it means that you, friend, are a guy or gal after my own heart. I truly believe that there are power in words, and especially written letters. As both the guest and the host, this is such a fun, long time tradition that preserves the art of writing letters. Give your guests the gift of writing you a letter, and give yourself the joy of reading their words. We will cherish this tradition that we have started forever. 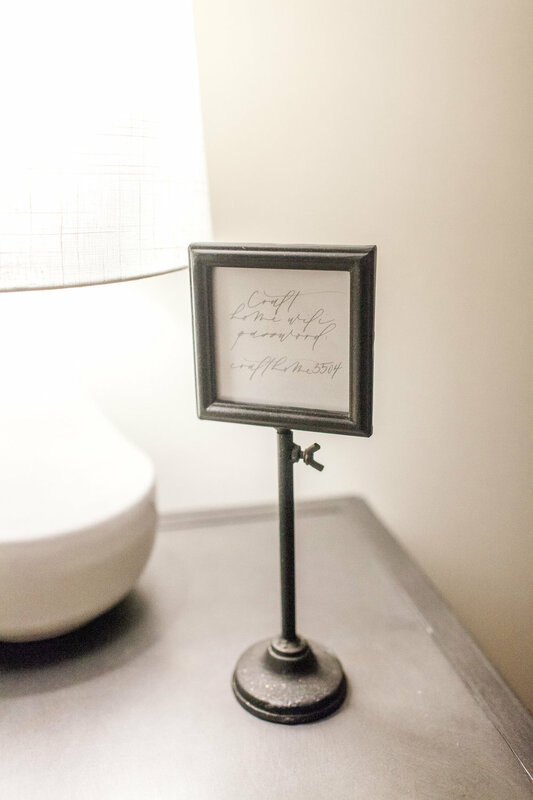 As you host, make sure your guest book is somewhere that is EASILY visible with a pen ready to go so that guests dont forget. Also, leave a little note in the guest book cover welcoming your guests, and inviting them to sign and date the journal. III || Wifi information. This seems like something so silly, but it was the third most shared tip. This is something so simple to do, but because it is such a small thing to add to a guest room, it usually gets forgotten. It is so funny, because this one actually helps the host too! When your guest asks for the wifi password, usually that means you have to go, bend over, and rummage on the floor with all the cords to pick up the box that has that little sticker on the back with the password that is harder to type in than it is to graduate from college! (i.e. 5G6dsjkl4757HGdeGH5) Make this display fun, simple, and easy to find to simply avoid that whole debacle! IV || Clean, soft linens on a comfortable bed. This goes without saying, but I think it is worth saying. 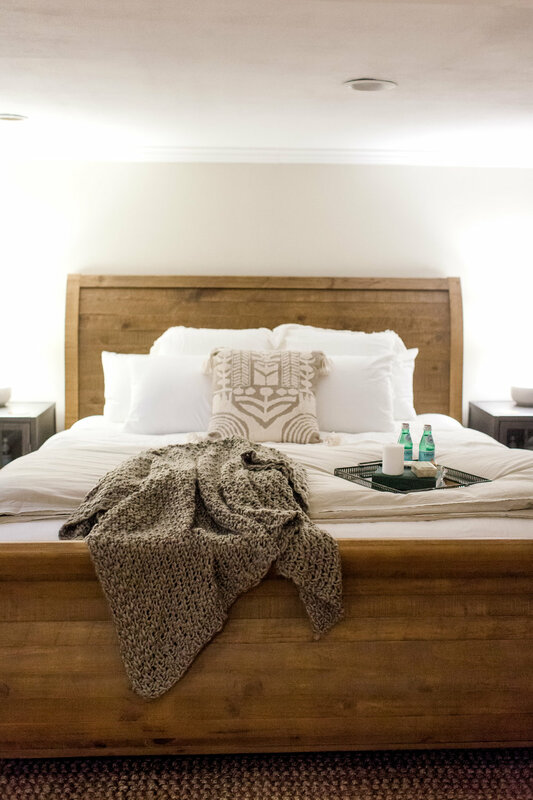 There is nothing like sliding into bed after a long day of driving, flying, or visiting friends, and feeling like you are in a cozy bed that is clean, soft, and fresh. The best way to add fluff and extra coziness is with a bed shawl at the end of the bed. 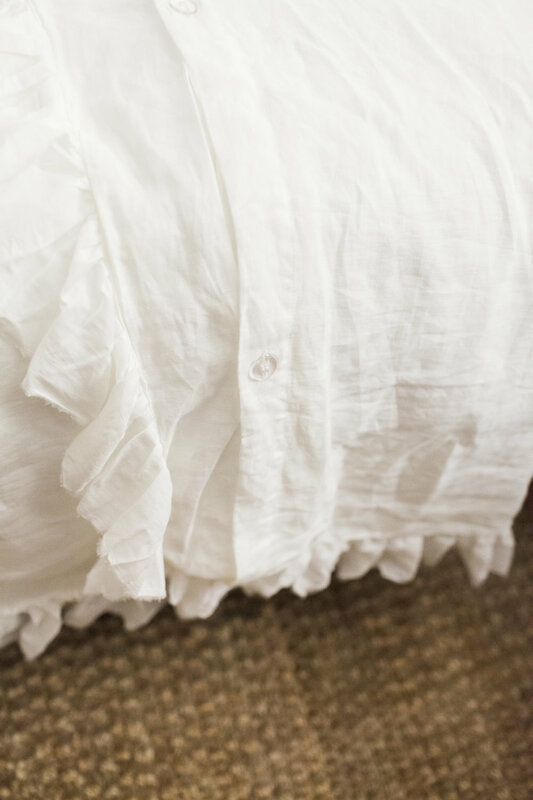 It makes the bed look fluffier, and adds extra layers of linens. The bed we chose was a Nectar, and we have been thoroughly pleased so far with the results. The bed is a little firmer, but the reason we chose the brand Nectar is that it has a one-year return policy in case we are not 1000% satisfied with it, and we got two free memory foam pillows! V || Box of Kleenex. Would you believe that only ONE person shared this tip? (I am looking at you Elisabeth!) That doesn’t mean it isn’t important, it just means it is one of those guest suite amenities that you dont realize you need until, well, until you absolutely need it, and then you have a giant booger running down your face, and you are too embarrassed to go ask the host for a tissue? Yes, just trust me. 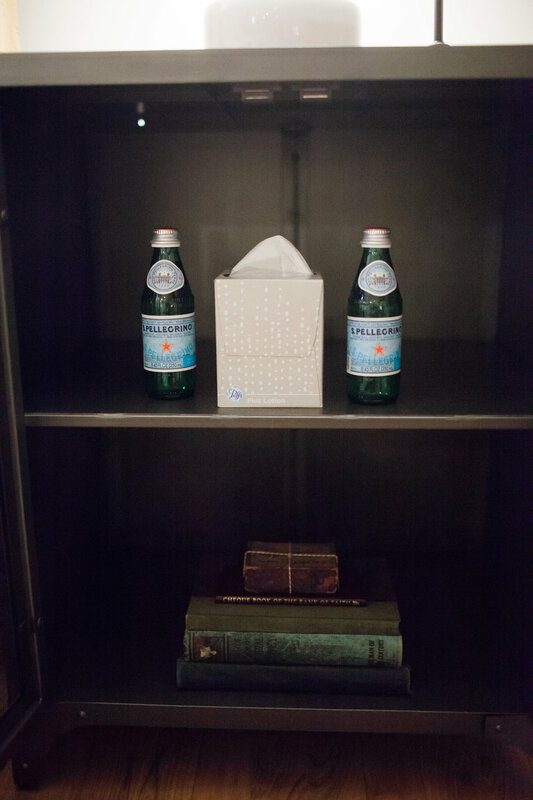 Have Kleenex in your guest suite. 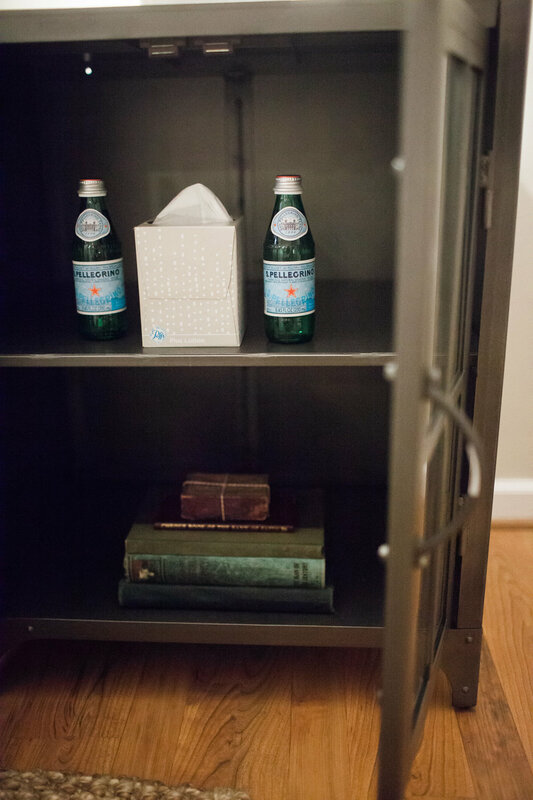 I wanted them to be invisible unless you needed them, so we tucked a Kleenex box in each night stand, and they will be perfectly accessible all hours of the night to guests. VI || Headboard on the bed. This was one of the most surprising shared tips that I received. but after I thought about it, it makes perfect sense. When you stay somewhere, you want to feel like you are not going to break the furniture when you sit on it, and move around on it. You dont want to have to worry about your pillow falling between the wall and the bed halfway through the night, and being exhausted for the next days adventures from a poor nights sleep. 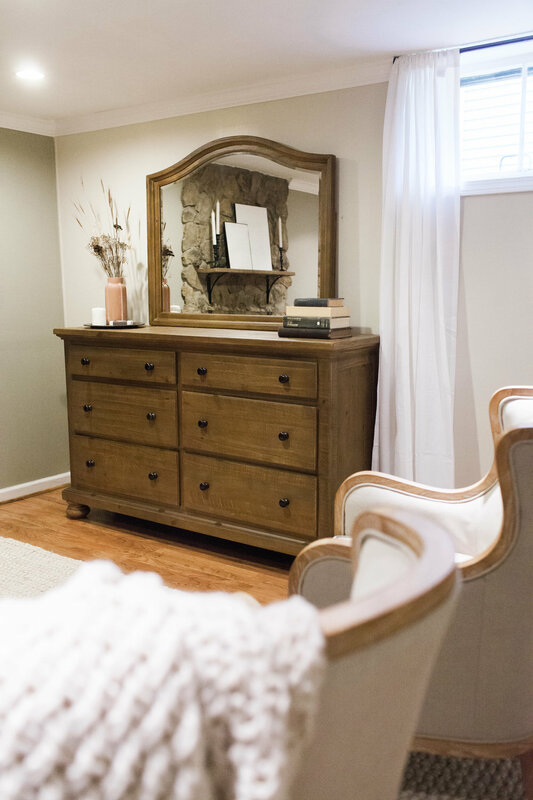 We fell in love with this Trishley Sleigh Bed, and it is a stable, sturdy piece of furniture that will remain a classic, timeless piece to have for years to come. VI || Mirrors. At the end of the day, everyone who stays in your home will have a different ‘getting ready’ routine. 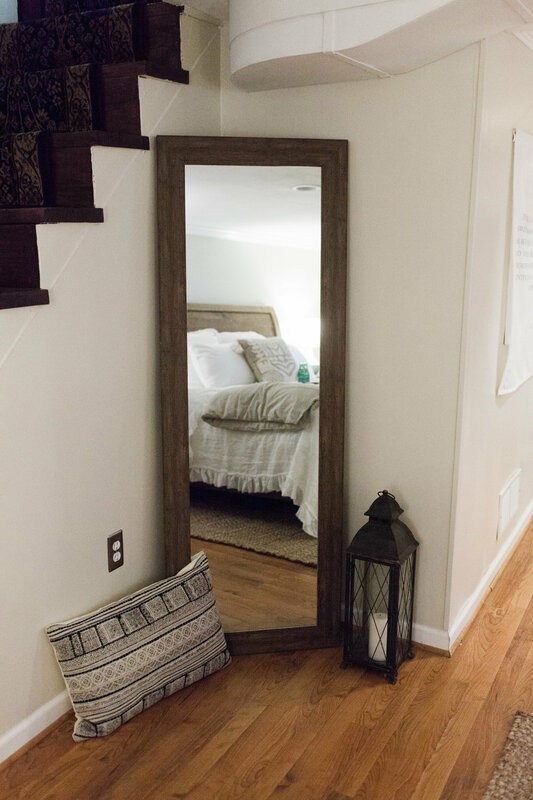 It will makes your guests feel so comfortable and at home in your guest suite when you provide them with getting ready mirrors, and a full length mirror. When someone is traveling, and staying in your guest room, they are most likely going to have places to go that require getting dressed up, and you know every girl needs to check all angles! Having a full length mirror and getting ready mirror where your guests can have their own routine in privacy will make them feel like they can use a hair dryer without taking up the bathroom, or being too loud. VII || Lamp on nightstands. Lamps are so important, because when guests stay in your room, they do not know the room like the back of their hand like they do their home. 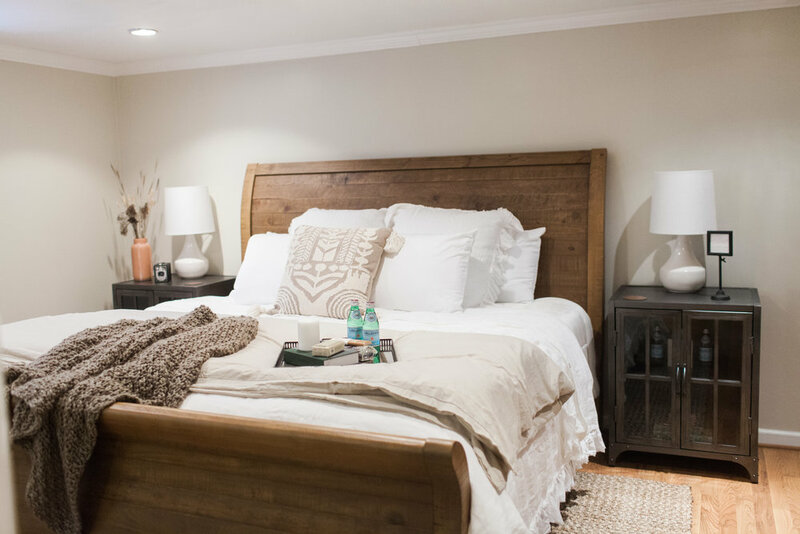 You can avoid nasty toe stubs and running into the edge of the bed while your guests turn off the light switch on the other side of the room by giving them lamps with nightstands. There is nothing worse than not having a place to put a glass of water or your alarm clock while you sleep. VIII || Read THIS book: The Gospel Comes with a House Key, Rosaria Butterfield. This was the MOST thoughtful suggestion that I received from a dear friend. (Thank you, Leah, for your heart to care for souls, not just the material things!) This book has already started to shift my mindset on what it means to be a host, and what it means to be a guest, and I HIGHLY recommend you purchase it and give it a read as you seek to serve well through hosting in your home. VIIII || Fluffy pillows. Not only did so many of you share tips to have fluffy pillows, but to have multiple options for pillows. Some people sleep with 57849 pillows, some sleep with a flat pillow. Some sleep with two pillows, some sleep with a firm one, some with a fluffy one. Everyone is different so I loved this tip because it considers others. We decided to keep the fluffy ones on the bed, and put the memory foam pillows in drawers so they could choose which pillows are best. X || Candles, room sprays, and diffusers. The VERY first thing someone will notice, and remember, about your home, is how it smells; It is one of the strongest sense. So many of you suggested diffusers, which we unfortunately do not have right now, but what we do have is candles and room sprays. My mother-in-law is really good at teaching me about how to make a home always smell welcoming, and she was the first person to introduce me to room sprays. We have an organic one not featured below, as well as fun ones from Bath and Body Works, and they instantly change a home or space through smell! XI || Room for luggage. One of the most frustrating things can be staying somewhere where you feel cluttered and like you cannot get to your luggage easily. If Josh and I can fit at the end of this bed, so can your luggage! 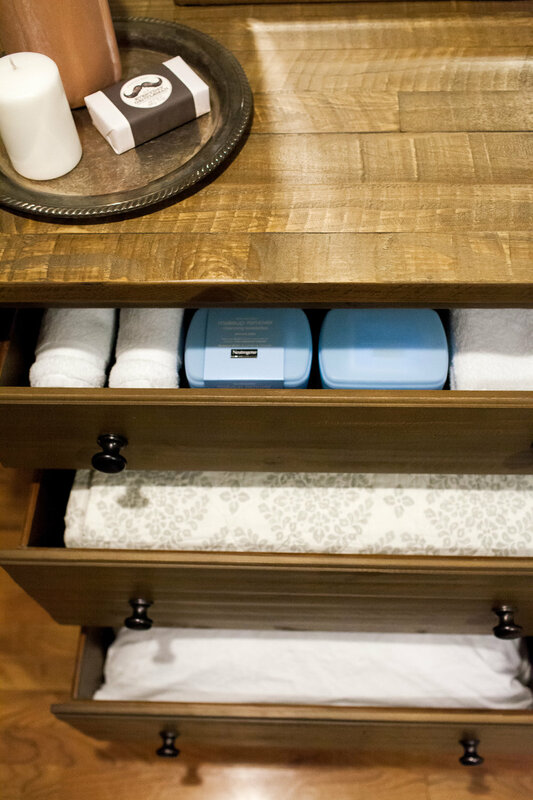 It is also helpful to leave extra drawers open in your guest suite dressers for guests to be able to put their clothes in for an extended stay. This can make them feel like they are more settled. XII || Outlets near the bed, and easily accessible. This suggestion just reminds me how tied to our phones and technology we are in the 21st century. However, it is a great suggestion because most people have their alarm clocks on their phones, and it very helpful so your guests can charge their phones all night so they have them ready for the next day of adventures. This can be as simple as running an extension chord to each side of the bed so the phone plugs in easily without having to move the entire bed. XIII || Face wipes for make-up. This was one suggestion that I would have never thought of, but really does make a difference. I placed wet make-up towelettes next to the face clothes, and hand towels, as well as hand cream. I placed these someplace easy to find in the top drawer of the chest with a mirror where they could easily take off their makeup and get ready for bed. XIIII || Hooks. This suggestion is perfect for the guest who is coming in in the winter with lots of coats, or the guest who has multiple purses or bags to hang. 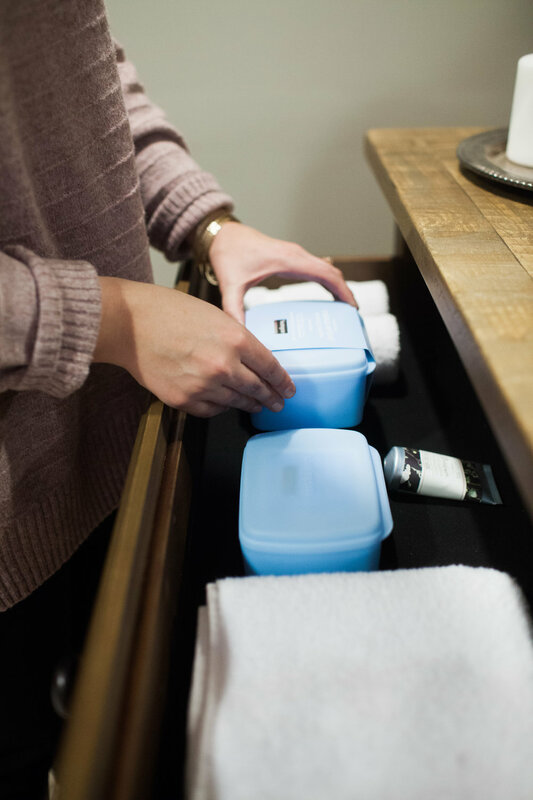 It is one of those guest suite items that, like the Kleenex, isn’t something you realize you need until, well, you need it! XV || Noise Control. Growing up, my mom would let me sleep in her room when my dad would go away on trips. I always loved staying with her in her room because she had this big, antique, tiffany blue, metal fan that she would run all night for the noise. I never realized just how much this noise made a difference until I stayed in a home that didn’t have a fan. This can also be helpful if a husband and wife are staying in the guest suite, and one gets hotter than the other. It is always nice to have the option of a fan. I decided to store these in the bottom dresser drawers so they were easily accessible, but not in the way if they did not need them. XVI || Bath Towels, hand towels, face cloths. One of the most awkward things to ask for in my books is towels from a host. 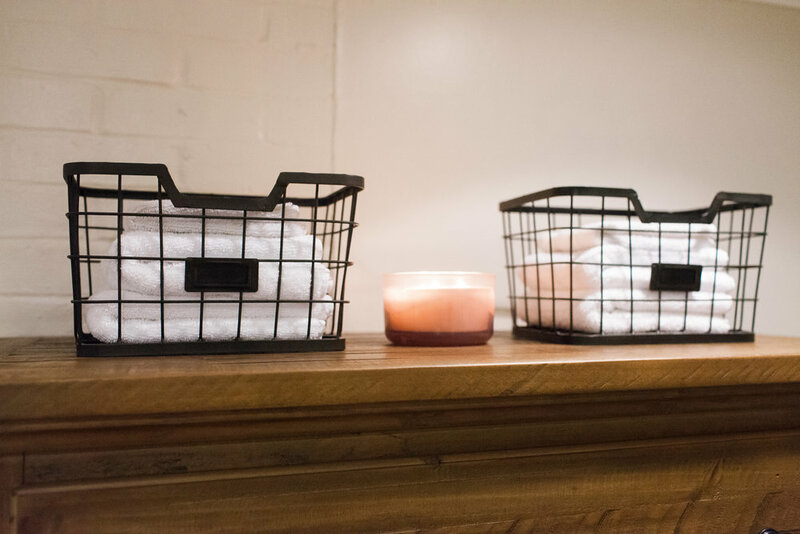 Do your guests a huge favor, and make your towels, hand towels, and face clothes visible, and easy to find so they don’t have to come and ask for them. I decided to store these in drawers as well, and on top of our tall dresser in little baskets so they are easily seen. XVII || Snacks, water bottles, and a trash can! This is one of those little details that is such a fun tip because it is just, oh I don’t know, FUN! It is a way to show your guests that you know them through their favorite snack, candy, or drink. (Don’t we all just have a deep longing to be known? Show you guests that you KNOW them.) Practically, sometimes you just need a piece of chocolate or a bottle of water! With all these snacks though, don’t forget a trash bin! Back to the Kleenex…it can get real awkward real quick when you are standing with an empty chocolate wrapper or a tissue full of boogers, and no where to put it. Don’t forget the trash can! XVIII || Curtains! This tip goes without saying, but it needs to be said: have curtains in your guest room so that you guests can have their privacy. They do not need to be fancy, they just need to block the view from the outside. I have to hand it to Josh, AGAIN, for this genius idea to have LONG curtains in this room. Don’t y’all LOVE how they add so much length to the room and the windows? I also think there is nothing like the feeling of ‘home’ like opening the curtains wide in the morning to let the sun in. XVIIII || All the little details to make a guest suite feel like home! 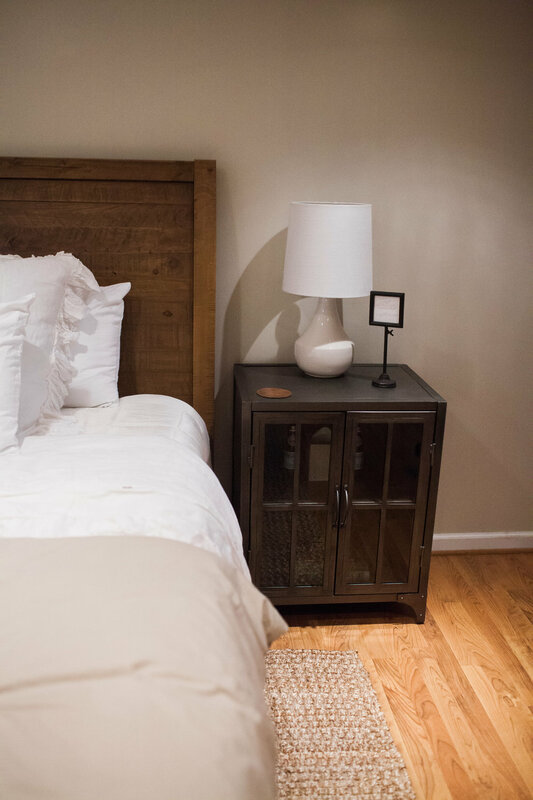 At the end of the day, your guests are coming to stay with YOU. Invite them in. Let them come empty. Leave them full; spiritually, physically, mentally, and emotionally. Home in this day and age is not always a safe place, but we can give people safe places in the homes we invite them into. Let us seek peace in our homes, and extend grace upon grace upon grace to those who enter our doors, as you may be the only picture of the Gospel they ever see or hear. We are tow imperfect humans serving a perfect Lord who has given us good gifts to share with friends, family, neighbors, our church, and strangers. I pray that the Lord inspires you to invite people in and give well through these 19 tips from my tribe. Let’s host well this holiday season, and every season after, to the glory of God, the furthering of His Kingdom, and the joy of his people as they do real, raw, transparent, vulnerable, and joyful life together in homes just like ours all over the world.